Kevin Ross, a rafting guide for Dead River Expeditions, points to a section of the Kennebec River Gorge where CMP proposes a major transmission line crossing. It would arc over an otherwise undeveloped seven mile stretch of the river. Ross opposes the plan, but CMP and other stakeholders have struck a mitigation deal that would include donations of recreational land and funding for economic development in the West Forks area. From a bluff soaring one hundred feet above the Kennebec River, Sandie Thompson cheered on a group of rafters below, just a few days ago. She's a member of the local selectboard and a longtime resident whose property abuts the proposed transmission corridor. She was tentatively against the project, at first, but she says the idea of a mitigation package turned her in favor. "If there's a mitigation involved where some of the monies would come back to the community and help, these rafting companies are in a tailspin, their businesses are going downhill. There's a lot of people against it and a lot of people for it, but unfortunately... we need power," she says. Suzanne Hockmeyer is the co-founder of Northern Outdoors, a pioneering West Forks rafting outfit, at the company's brew pub and restaurant. She's signed on to a deal with CMP that would provide support for the region's nature-based economy in return for building a major transmission line across the Kennebec River Gorge. The 145-mile line would bring hydro-electricity from Canada through Maine to customers in Massachusetts. Most of it would parallel existing lines, but some 50 miles of new corridor would cut from the Canadian border to the West Forks area – the center of Maine's whitewater rafting community and home to a crossing for the famed Appalachian Trail. CMP's Thorn Dickinson says the package will include lands conserved for recreational trails along the nearby Dead River, funding for a visitor center, nature-based tourism, economic development and educational initiatives. "And some other things we learned were important,” says Dickinson. “Things like public access to certain areas like Harris Station and Indian Pond, Carry Brook, places where sometimes there are risks associated with some of the people's ability to get in and enjoy the resources that are there." Dickinson says the company has been negotiating with a group of stakeholders for more than two years. 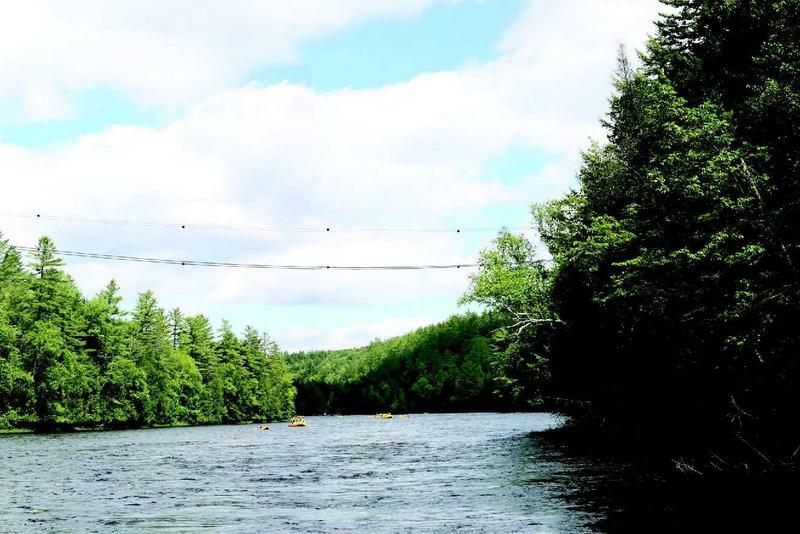 The group includes big rafting companies, Somerset County's former economic development director, who now spearheads the ConnectME broadband initiative, and Larry Warren, the founder of the Maine Huts and Trails system. But opposition to the project is not hard to find in the Forks area. Greg Caruso sits his canoe near the river's bank in Caratunk, a few miles downstream from the gorge, where the Appalachian Trail crosses. He is the ferry operator for the national trail's only manned water-crossing, and he's at the riverbank every morning at the season's height. He is not a fan of the deal the big rafters cut with CMP. Greg Caruso, ferryman for the Appalachian Trail. In season, he takes through-hikers across the Kennebec River, a few miles downstream from where CMP wants to build a major transmission line. He opposes the plan – even with CMP’s offer to donate land and money in compensation. "Is it blood money? Could be considered that in my opinion," says Caruso. 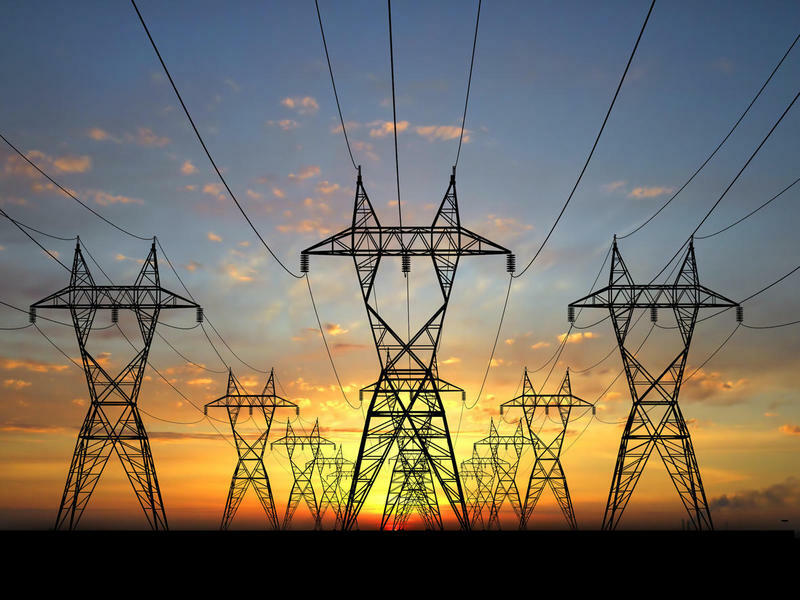 A Maine Guide, he notes that this state already produces all the energy it needs, and he asks why it should sacrifice its natural resources – and the local economies built round them – to serve Boston's energy needs. "The whole reason people come up here is for the wilderness,” he says. “Every time you build a big project we take a little bit away from that wilderness experience. You're always hearing 'oh we got to save these people in the woods.' Well these people don't want to be saved. they live up here for a reason." CMP's contract with Massachusetts electric utilities is still pending, and state regulators could decide on alternate routes, including a $37 million tunnel under the gorge. If regulators force one of those more expensive options, the value of CMP's mitigation package would decrease. 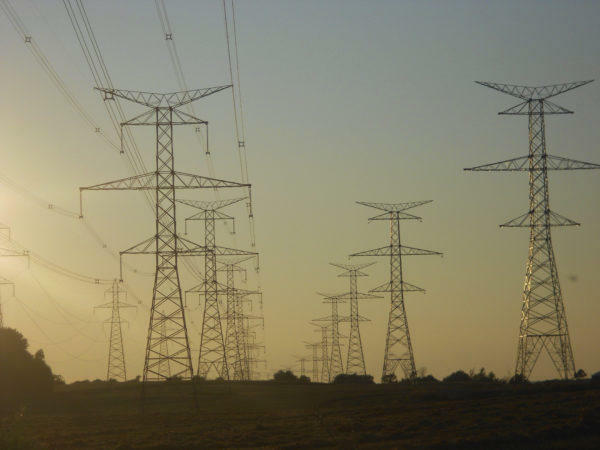 Opposition is mounting to Central Maine Power’s proposal to build a major new transmission line through western Maine. The 145-mile line would carry electricity from Canada’s Hydro-Quebec dam system to customers in Massachusetts. A growing number of stakeholders are saying there’s little or no benefit for Maine, while treasured resources, such as the Kennebec River Gorge, would be compromised.